In 2013, Academy Award®-winning* film director and Studio Ghibli co-founder Hayao Miyazaki, creator of such legendary films as Spirited Away and My Neighbor Totoro, suddenly announced his retirement. But still he couldn't shake his burning desire to create. After an encounter with young CGI animators, Miyazaki embarks on a new project using these techniques. But the artist, who has been adamant about hand-drawn animation, confronts many challenges that threaten to cancel the film. Can an old master who thinks he's past his prime shine once again? 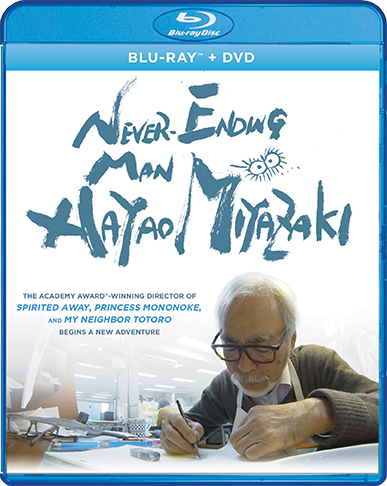 Shot over two years, Never-Ending Man: Hayao Miyazaki provides a unique, fascinating glimpse into the mind and creative process of one of animation's most iconic storytellers.